I can't dedicate the time to do a post on each of these, yet they deserve your attention. This level of contempt for masculinity must be noticed before it can be stopped. It is not healthy to tell women that men are bad. It is not healthy to tell daughters that fathers are bad. It is not healthy to tell wives that husbands are bad. 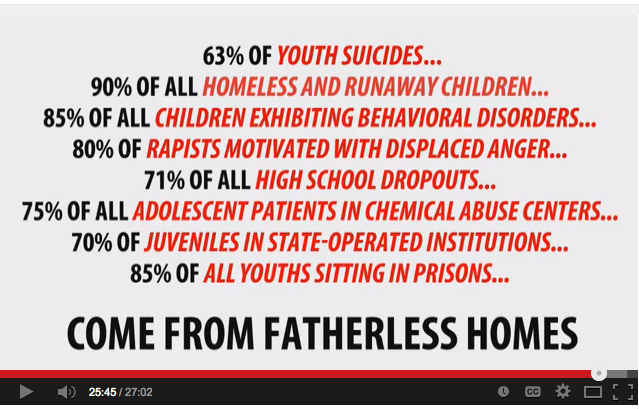 Because the absence of fathers is killing the world. It may sound like I speak in hyperbole, but I'm deadly serious. Just look up these statistics on the children of single mothers, and I will let the fatal math make my case. Gary North introduces a refreshing prediction about the next political shift: Why There Will Be No Revolution. He makes a great case for the opposite of revolution: decentralization. "This is the Balkins." I'd like to see Gary, or others, expand on this idea. Historians looking back at this period in America’s development will consider it to be profoundly odd that at the exact moment when violent crime hit a 50-year low, the nation’s police departments began to gear up as if the country were expecting invasion — and, on occasion, to behave as if one were underway. A very graphic video of what ISIS is, and what they are doing in Iraq. Obama sure looked smart when he announced the US exit in that war. In hindsight, it looks as if he's acting the role of President rather than performing the role. I'm going to go out on a limb here and suggest that if he were to make other mistakes, he might come across as either incompetent or criminal. 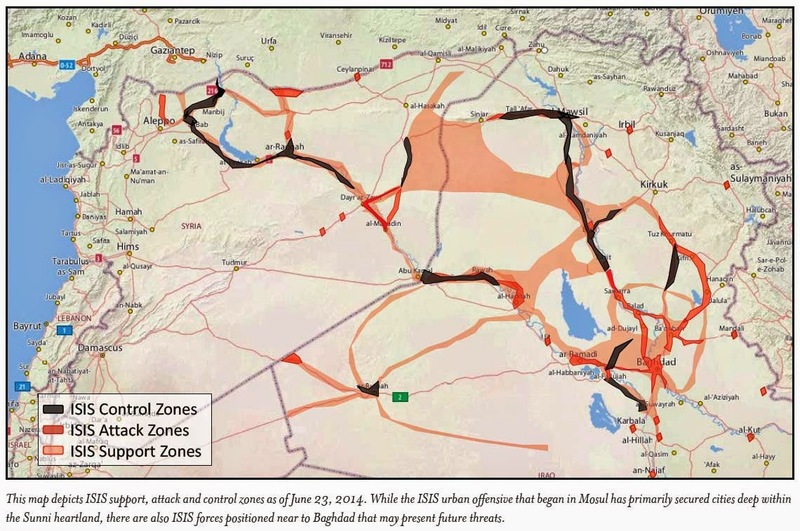 Related: ZH posts the ISIS war plan, with maps. Danny Carroll was removed from the Iowa GOP central committee on a 14-2 vote. This Politico article doesn't explain why. Let me take a stab at it. Danny is a Libertarian. His self-perceived role was not to do what was best for the GOP, but to set the stage for Rand Paul in 2016. Iowa, undeservedly, is state #1 in the primaries and the winner there naturally gets a boost in the following primaries. Libertarians fail to attract more than 1-2% to their cause, so they embrace other tactics such as swarming Internet forums and surveys, shouting down critics, and putting Libertarians in key positions within the GOP community to assist their candidates. They are not GOP despite Rand and Ron having an "(R)" after their names (in my opinion). Libertarians should have membership on panels in the numbers that reflect their base, and they should be allowed to persuade committee members on topics when the conversation is appropriate. But they should adopt, and always defer to, the panel's stated purpose. 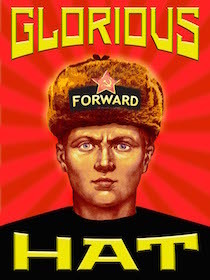 It is not their right to go rogue and behave like anarchists, as I'll bet a Commie Obama hat is exactly what Danny did in Iowa.